The key to avoiding injuries is to have strong flexible muscles prior to activity. People often focus on the strength aspect and ignore the flexibility. Stretching is vital to any person undertaking activity. Stretching should be held for ten seconds: FALSE. A stretch must be held for thirty seconds before the body recognises this and activates the stretch reflex. Stretching is only important prior to activity: FALSE. Latest research shows that static stretching, if only completed prior to competition will not influence performance. Stretching must be undertaken daily to have a positive influence on performance. We believe that PREHAB is better than REHAB. Locate your areas of weakness and improve them before injury strikes! 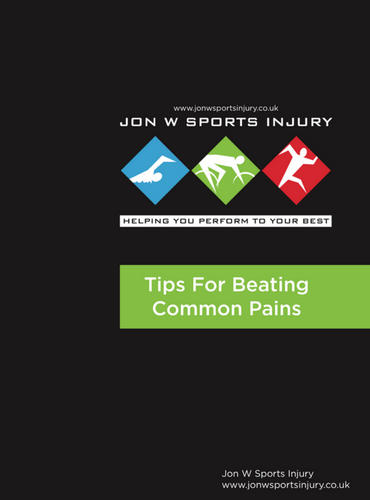 At Jon W Sports Injury we believe the best way to answer this is to think of the aims of a warm up. We believe they are to increase the heart rate to the level that will be required for competition and to prepare the muscles for the force they will have to exert during competition. Firstly, a warm up should start off slow and gentle. Walking and bouncing are typical movements. 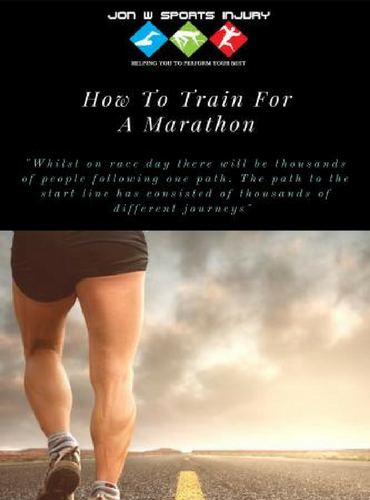 The aim is to warm the muscles and encourage a good blood supply to the working muscles. The blood supply will provide the muscles with important ingredients vital for competition. When the muscles are warm static stretching can take place. Stretches must be held for at least thirty seconds. Although we often focus on the lower limb the upper limb and most notably the back should not be forgotten. Stretches for areas such as gluteals and hip flexors are often ignored but vital, especially in football. Recent research has stated that static stretching, if only completed prior to performance, will not directly improve performance. However, we believe that there is still a strong place for static stretching as part of a warm up for a continued stretching program and for psychological benefits, i.e. players like to stretch tight muscles prior to competition. Once this is completed the pace should be increased. Movements such as jogging and side stepping should be included. The aim is to elevate the heart rate to that required for competition. Dynamic stretching should be included in this part of the warm up. Research has found that dynamic stretching does have a positive impact on performance as it stimulates the muscles at a competition specific rate. In this section it is also important to increase progressive changes of speed and direction. These are the two main causes of acute injury. Therefore prepare the body, involve these in the warm up. However, it is important to slowly progress the magnitude of the changes in speed and direction. Next, involve sport specific work. If it is a football match use a football. It is important to activate the required muscles, e.g. passing, heading, volleying. It is crucial that the previous heart rate is maintained. Finally-position specific exercises! If a striker will be shooting excessively, then have him hitting shots in the warm up. A defender may want to complete headers in the warm up. We believe specificity is vital to a good warm up. A sprain is damage to a ligament (fibres that connect bones to bones) generally caused by overstretching. Ligaments assist with balance and can often be damaged when our balance is compromised. Treatment: First 72 hours – RICE (See: What to do if Injured). After 72 hours – see a specialist.. Symptoms: Pain, swelling, reduction in movement, bruising. 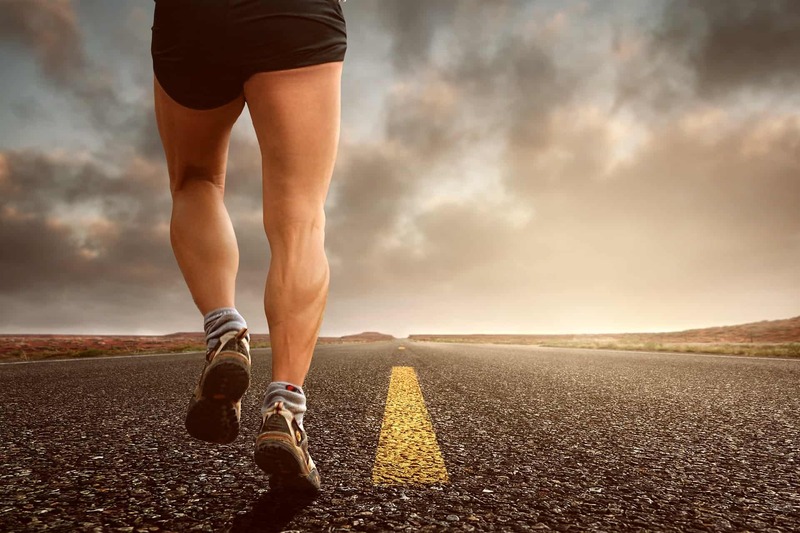 A strain is damage to the muscle or tendon (connects muscle to bone) generally caused by overstretching or fatigue. Treatment: First 72 hours. RICE (See: What to do if injured). After 72 hours – see a specialist. Symptoms: Pain, swelling, cramps, reduction in movement, bruising. A fracture is any break to a bone. These may be closed (beneath the skin) or open (breaking the skin). These are often caused by impact. Treatment: Hospital and then specialist treatment. Symptoms: Pain, loss of movement. When two bones meet they form a joint. If one bone breaks from the joint, the joint becomes dislocated. Treatment: Hospital and then specialist treatment. DO NOT TRY TO REPOSITION THE JOINT. What to do if I am injured? Rest. Remove weight bearing-sit down. Ice. 15 minutes should be sufficient. Compress. Use a bandage or support to hold the ice in place. Elevate. Place the injured part above the heart to help reduce swelling. The body will go through an ‘acute phase’ for the first 72 hours following an injury. This may result in lots of pain, swelling and reduction in movement. A reminder that swelling is not something that should cause panic or worry. It is a natural process of the body to protect and heal it. If the symptoms continue after 72 hours then it is recommended that a specialist is seen. Children are less frequently injured but certain injuries can be severe. Children go through many adolescent changes that leave the body vulnerable to injury. These injuries have been termed ‘growing pains’ but we are now able to be a little more specific to these injuries. The severity of these injuries cannot be understated. It has been said that any child suffering should take one year away from sport. While this view may not be the case as we now have better understanding, any child suspecting the injuries should be seen by a specialist immediately. This is a condition caused by damage to the growth plate below the knee. The muscles of the thigh cross the knee and attach to the growth plate. Extensive use of the thigh pulls on the growth plate and causes damage. 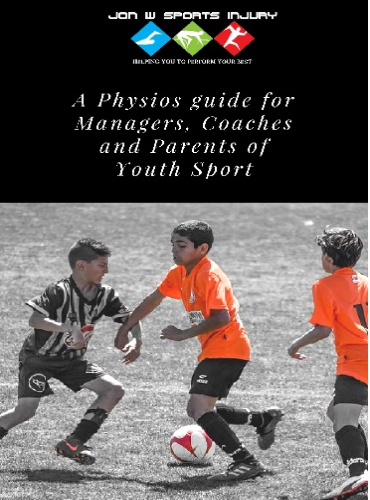 This makes the condition very common in football players aged 10-16 years old. Symptoms: Pain on base and just below the knee cap. Pain will increase as activity continues. Treatment: Rest, Ice and see a specialist immediately. Similar to Osgood Schlatters but the pain occurs in the heel rather than the knee. The calf muscle attaches to the Achilles tendon. This tendon fixes to the heel. Excessive use of the calf pulls at the heel and creates pain. The condition is very common in children who have undertaken a growth spurt or a large shoe size increase. Symptoms: Pain on heel. Pain will increase as activity continues. It is common that children suffering will walk on the balls of their feet to ease the pain. Important stretch: calf and soleus. The role of hydration in sport is vital. Research shows that a 1% abnormality in hydration levels will affect performance by 10%. Therefore every athlete should monitor hydration closely. We often see people guzzling energy drinks prior to competition. This will not have the desired effects as the body will not be able to absorb the fluid at this rate and most will be wasted in urine. Jon also conducted a research project that found that whilst hydration was vitally important, energy drinks had no added benefits when compared to water. Jon W Sports Injury Recommends: 2 litres of water consumed over a five hour period prior to competition. Through sweating we lose vital electrolytes. Energy drinks are designed to replace these electrolytes. Therefore energy drinks are beneficial mid game. However, sudden rises in sugar cause the body to release insulin. The sudden release of extra insulin can be harmful to the bodies to energy production systems. Therefore take them in sips, do not guzzle. Jon W Sports Injury Recommends: 1 small bottle of energy drink sipped over a fifteen minute period. Following competition the replenishment of hydration levels is crucial. Similar to a cool down we are looking to return the body to its resting level. Hydration is also vital for recovery to any damaged muscles. It is said that for every kg lost in weight, 1 litre of water should be replaced. People sweat at different rates and therefore this will have to be worked out individually. However, this should be of upmost importance to any athlete. Jon W Sports Injury Recommends: The athlete should weigh themselves in kilograms before competition and after competition. For every kilogram lost, one litre of water should be replenished, over a two hour period. How do you cool down? The cool down is often forgotten but is as important as a warm up. If you consider how tight your muscles would be following a competition, why would you leave these like this and not expect to be injured? The aims of the cool down are to gradually restore resting heart rate, stretch the muscles and prevent blood pooling. Blood pooling is when blood collects in the muscles and causes stiffness. If you imagine how much extra blood goes to the muscles during competition, then if this rate of exercise suddenly stops the heart is unable to cope with the change and extra blood is sent to the muscles. This extra blood is not required and collects causing stiffness. Therefore, a cool down should start at match pace and return to resting level, i.e. walking pace, over a period of time. Following this, a period of static stretching should take place to return the muscles to their original length. Physiotherapy. Sports Injury. Injury Prevention. Sports Massage.